MO’SOME TONEBENDER have the distinction of being one of maybe a dozen bands of their time that really lived up to the “alternative” part of alternative rock. The group used the abrasive, fuzz-driven sound reminiscent of Hüsker Dü as a springboard, mixing it with about any other influence that stirred their fancy, from punk and industrial to synth pop and bits of jazz. This catchy, mildly demented concoction didn’t bring them huge sales, but was hardly expected to, anyway, and their reputation as a hidden treasure of J-rock can still be envied by many bigger and blander acts. 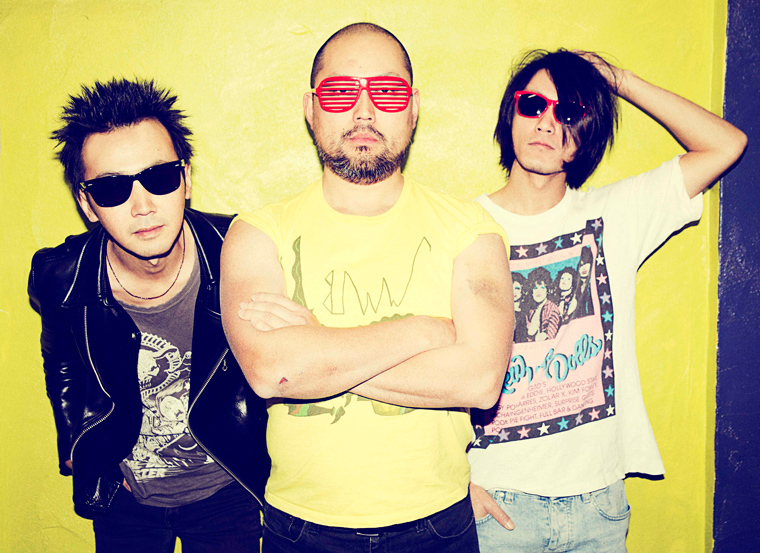 MO’SOME TONEBENDER was formed in 1997 in Fukuoka, when drinking buddies Kazuhiro Momo, who sang and played guitar, and Isamu Fujita (drums), met the bassist Yasunori Takei at a local show. Teaming up, they began releasing demo tapes and playing clubs, scoring a contract with the indie label Quattro UK Discs by 1999, when they released their debut EP Drive. Their first full-length, Dawn Rock, came out in 2000, and two of their next CDs, Hello (2001) and Light, Slide, Dummy (2001), were handled by Universal, although the major waved goodbye with Mo’some Tonebender when the adoration of the press and a devoted following failed to translate into a commercial breakthrough. Unperturbed, MO’SOME TONEBENDER proceeded to release the experimental Trigger Happy (2003), tinged with punk and electronica, and then got a deal with Columbia, which allowed them to deliver a steady flow of releases, starting with The Stories of Adventure (2004). They skipped 2006, but caught up in 2007, which saw two full-lengths, Super Nice and C.O.W. (Check Out World), and in 2008 they produced their ninth studio album Sing.